Great for school, travel, sports, hiking, gym, cyclists, carry on or as a back-up backpack bag, in case something happens to your regular one, the suvelle foldable backpack will always come in handy! 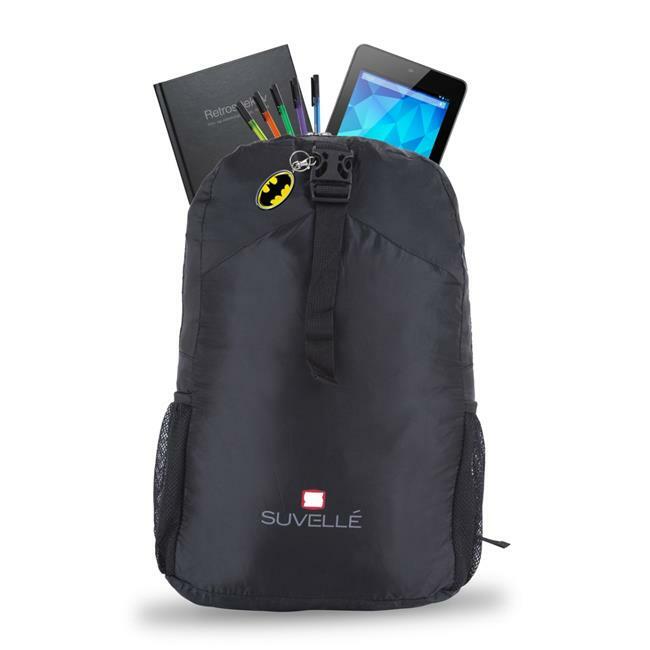 if you need a sweet storage bag for all sorts of purposes get the suvelle foldable backpack. Suvelle is your one-stop store for handbags, travel bags, luggage, backpacks, carry-ons and wallets. Founded in 2011, Suvelle is a groundbreaking type of ecommerce store. We are able to offer the lowest prices on everything we sell and our slogan is simple: Quality, Comfort and Style.Our corporate mission is to be the world’s most recommended and trusted retailer of bags and related accessories. We deliver on that mission via our slogan of Quality, Comfort and Style by providing all of our customers an innovative and trustworthy buying experience-and we also think Suvelle is a pretty cool place to work.